Many people seek out Acupuncture for day to day aches and pains, acute ailments and chronic health issues. It doesn’t matter if someone is a professional, amateur or hobbyist CrossFitter, Acupuncture can help improve many areas that are of concern when it comes athletic performance. In this post I want to touch base on three benefits that those looking for increased gym performance can expect to receive from treatment, as well as the main reasons why CrossFit athletes become some of the most consistent Acupuncture patients. Why Should CrossFit Athletes Initially Seek Acupuncture Treatment? 1) Improved Digestion: You provide your body with the best fuel possible, and the processing and assimilation of your food is essential to peak performance. Acupuncture has successfully treated many digestive issues including Bloating, GERD, IBS, Crohns, Constipation, and Nausea; just to name a few. In short: better digestion equals more energy and better intensity in the gym/on the field. 2) Nervous System Recovery: Training provides a great stimulus and with the right dose our body can acclimate by repairing and adapting to whatever we throw at it. It’s not how much work we can do that matters, it’s how much we can recover from. Training, stressors from home, traffic, work, poor sleep, illness etc all activate the body’s sympathetic nervous system or “Fight or Flight” response. We need an equal amount of parasympathetic or “Rest and Digest” activation to maintain a balance. Without this balance something eventually has to give, and typically an illness or injury will put the brakes on us if we don’t do it first. Acupuncture along with meditation, mobility work, yoga, and sleep are all tools that bring the recovery equation into better balance. 3) Soft tissue injury: Athletes of all levels ask a lot of their bodies and demand a high level of performance, and this is especially true for CrossFitters who are always having to work on all aspects of their fitness. 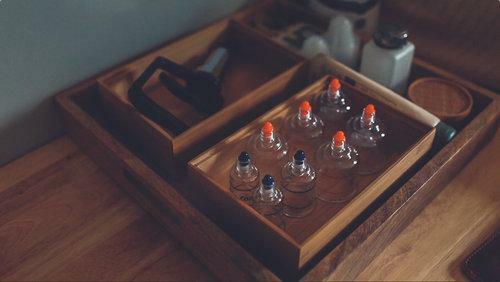 Acupuncture, which includes motor point therapy and cupping, improves circulation, reduces swelling, and increases mobility. Just like yoga, stretching, and soft tissue work; Acupuncture is a great tool to have in your toolbox. Why do CrossFitters Continue Acupuncture Long Term? 1) Treatments are scalable and goal oriented: At my shop I give everyone a treatment plan at your first visit. Most conditions respond to 4-12 total treatments over 4-6 weeks. Once an issue calms down it takes much less frequent visits of 1-2x per month (often less) to maintain those results. For CrosFitters who are used to attacking a fitness goal, this is a very familiar process. Resolving the main complaint(s) is the goal. The treatment plan is your roadmap to achieve it. Treatments and treatment plans can be scaled up or down based on the athlete’s outside responsibilities and stressors, just like any sensible programming should be. Familiarity with this process is the CrossFit athlete’s best friend here. 2) Accountability: Scheduling time for rest and recovery is just as important as scheduling when you are going to work out. Remember the saying “failing to plan is planning to fail”? Having recovery programmed into the work week just like your training helps keep athletes accountable. The aforementioned treatment plan also helps track your progress. 3) Sense of Community: Like many other Acupuncture offices, the idea at my shop is to build a community around the clinic itself instead of marketing Acupuncture to the community. There’s also power in numbers, and a sense of family associated with people who come to The Acupuncture Clinic of Bedford. Many consider me to be part of their team, and I consider them to be part of mine. Sound familiar? New Hampshire has hundreds of licensed practitioners. Many of our patients come from Manchester, Goffstown, New Boston, Hooksett, Bedford, Amherst, Nashua and the surrounding towns. 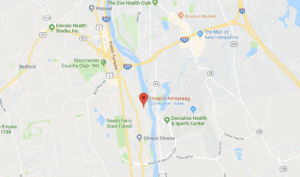 We’re conveniently located in Bedford NH, come on by and say hello or drop us a line if you’re wondering how Acupuncture can help. I’ll be happy to take care of you here in the shop, or if you’re a bit farther away I can get you linked up with someone who can.